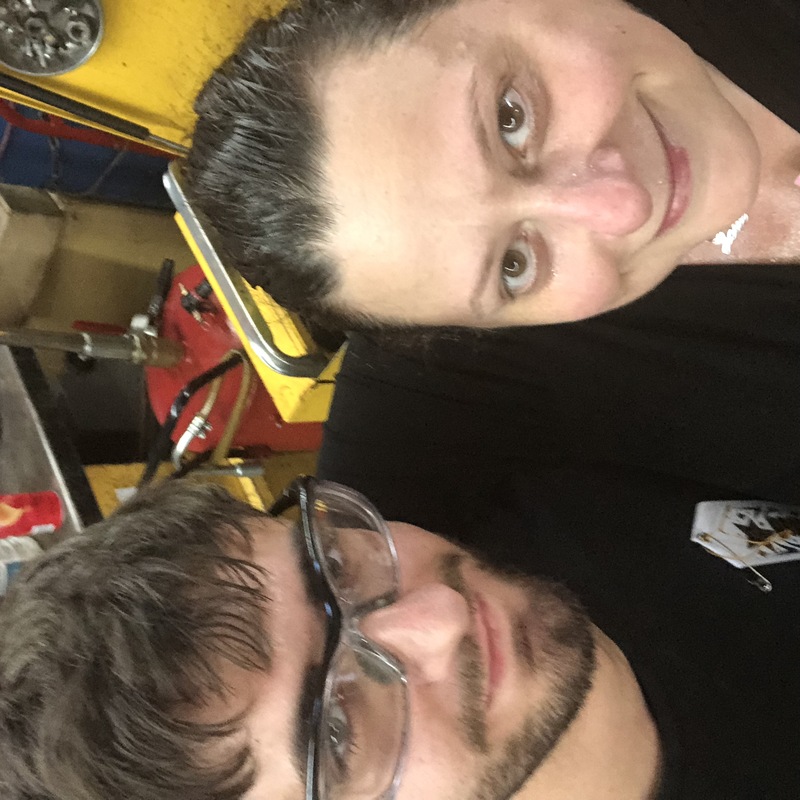 Master Mechanic High Park: Brandon Gets His Mechanic License! 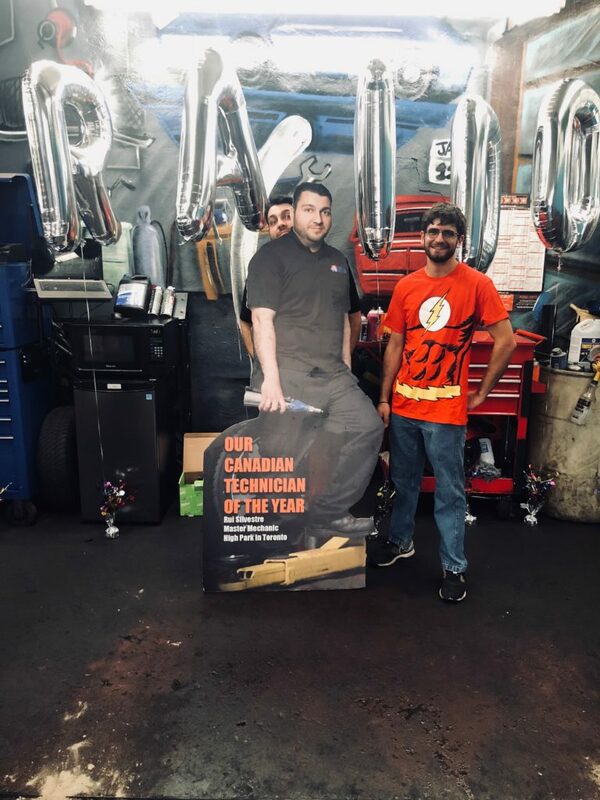 The team at Master Mechanic High Park is not very big, but the love we have for one another definitely is! We’re a tight-knit group in and out of the shop, and many of us have been with the team for quite a while. When a new member does join our family, or we take on a co-op student to mentor, they quickly find out how much we support and motivate one-another—including them. For Josie, Mike, and Rui, a candidate’s personality is as important as their skillset. When you’re working in close proximity, under tight timelines, you have to get along to keep things moving along smoothly! Our co-op student, Brandon, has it all. 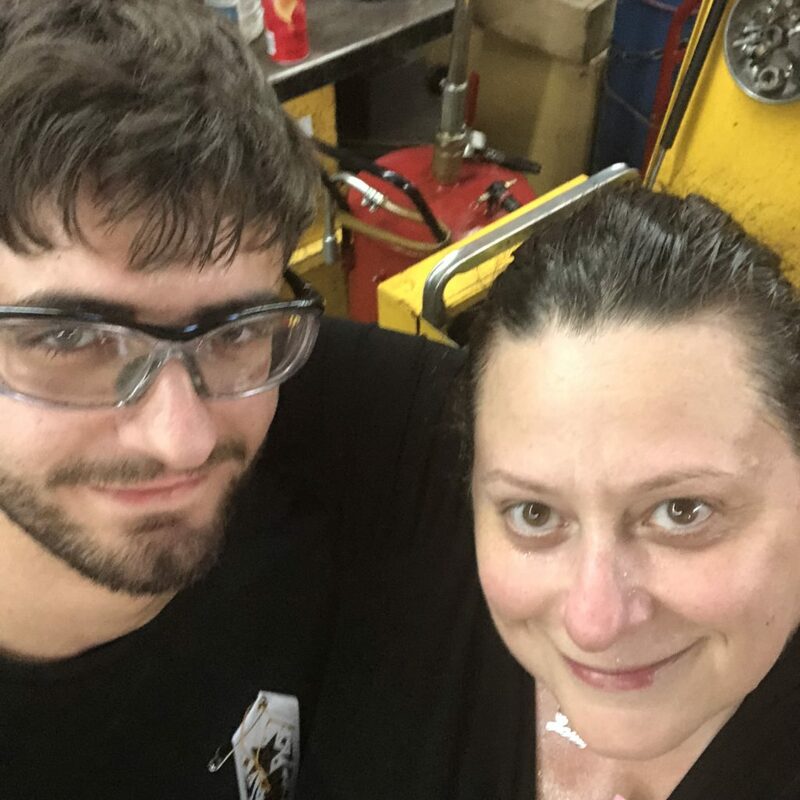 He joined our team and quickly meshed with the technicians and staff. He spent the last 3.5 years at Master Mechanic High Park learning the tricks of the trade and working hands-on with our team. Eager to learn and truly passionate about cars, he quickly excelled at almost everything we put in front of him. Too often in the industry, co-op students are used for cheap labour and not provided the proper coaching they deserve. It’s so important to us to mentor those we bring in, and we take pride in showing them the proper way to do things. Our Lead Tech and winner of the Technician of the Year Award, Rui Silvestre, made sure to work closely with Brandon throughout his apprenticeship. He was particularly impressed by his natural skill-set and work ethic. So much so, he took extra time to accompany him to training seminars and helped him prepare for his exams after-hours at the shop. 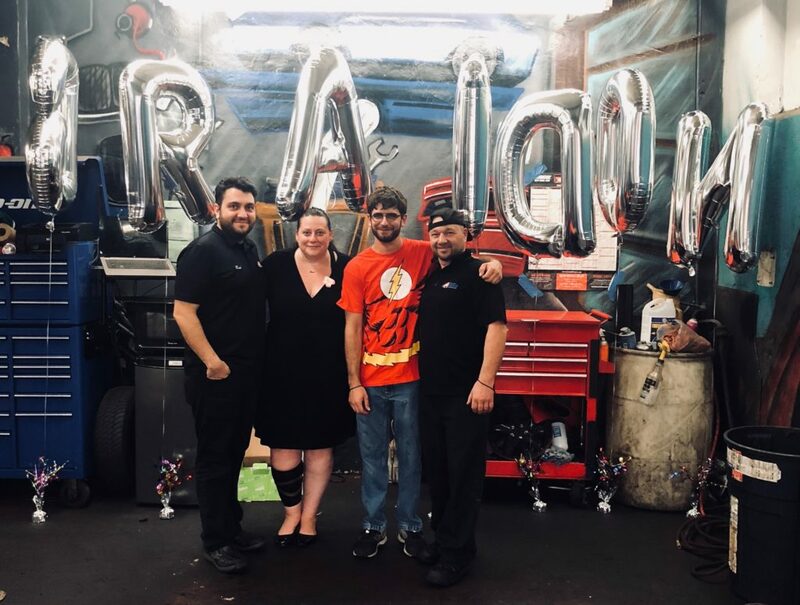 That’s why it came as no surprise to everyone at Master Mechanic High Park when Brandon passed his technician exam this past week! He received his licence and a lot of props from the team upon his return! Passing your Technician exam is no small feat, but the superheroes here certainly don’t shy away from a challenge. At the young age of 20, Brandon clearly lived up to his moniker, The Flash! This amazing moment called for a celebration, and that’s just what Josie and the team put together. 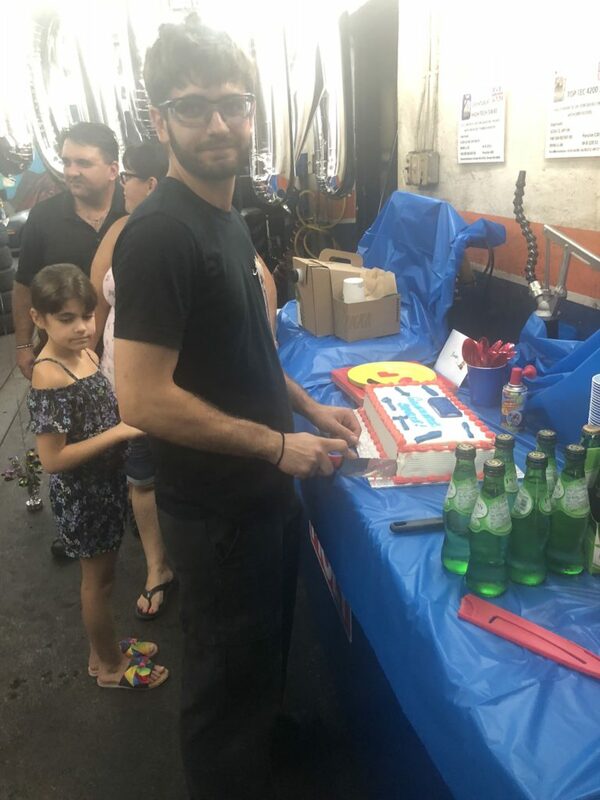 Food, cake, balloons, silly string, family and friends were waiting at the shop to celebrate Brandon’s milestone. We could not be more proud of him and we’re excited to continue watching him excel at his craft. Go, Brandon!